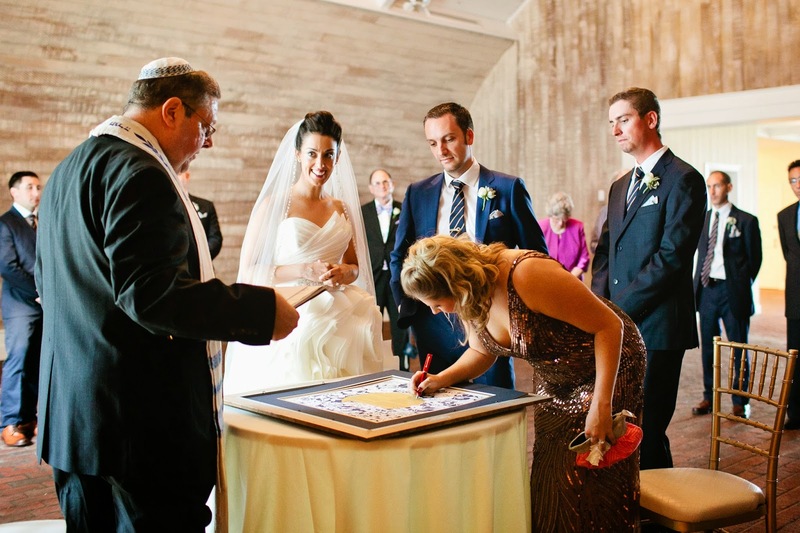 The ketubah was SO stunning and many people commented how they had never seen anything like it! Thank you for everything and for your gorgeous contribution to our special day. We will never forget it!! 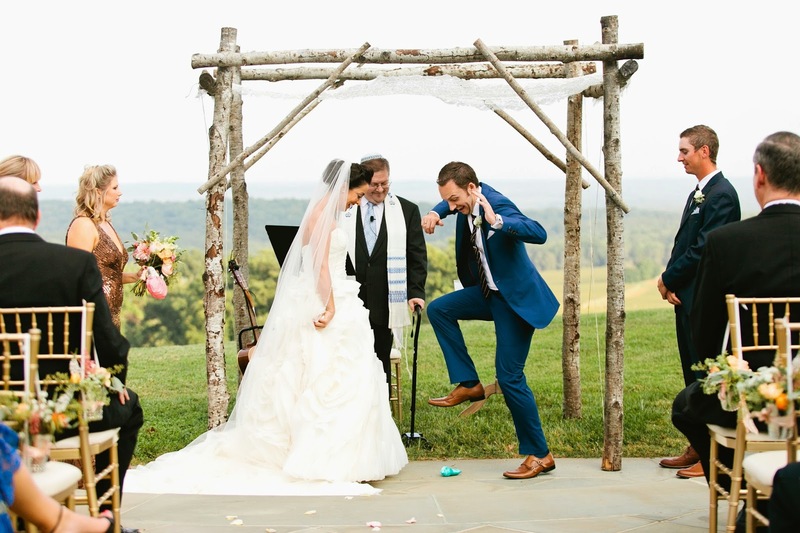 Jamie & Erick are a wonderful laid-back couple who hired me last year to create their heirloom ketubah. 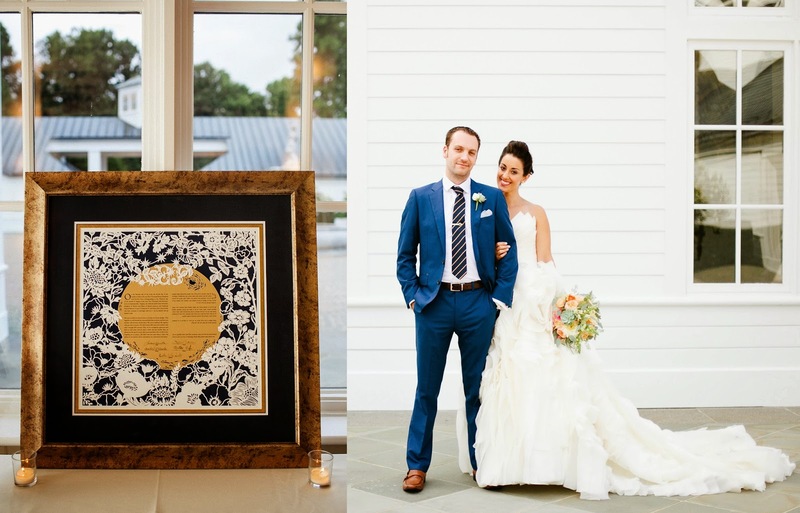 They were having an elegant southern wedding, so the Moon & Flowers ketubah was a perfect choice! 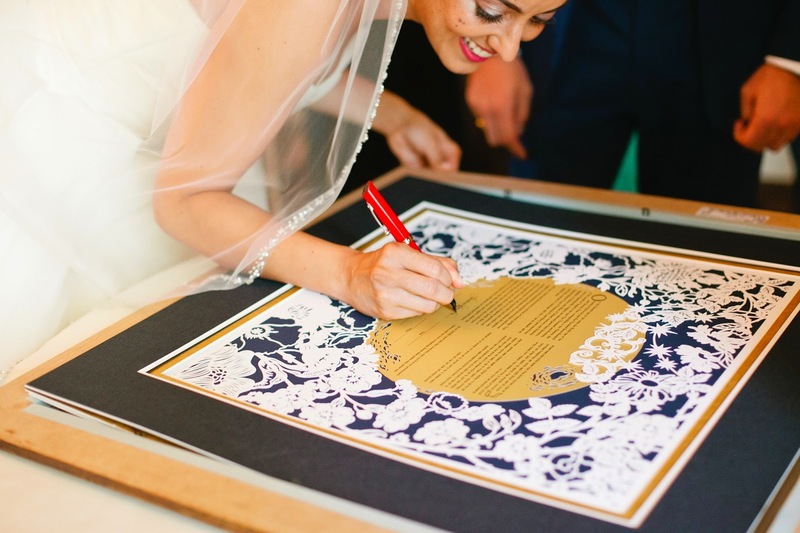 They picked gold & midnight blue to fit their color theme and the ketubah was further customized with personalized papercut initials. Jamie & Erick's wedding looked perfectly stunning. You can see the love and happiness shining out of each photo. This photo has a sweet story behind it. 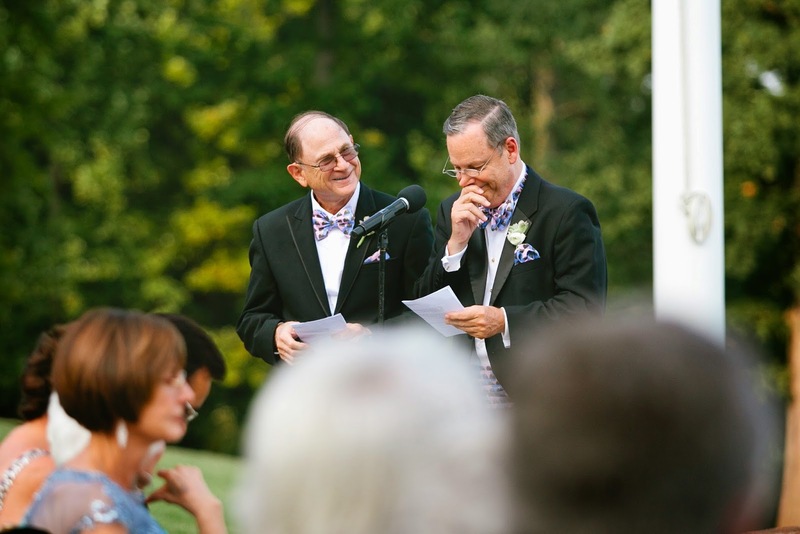 The bride & groom's fathers stood before the crowd to read the ketubah. Jamie wrote to me, "Erick's dad is on the right, and could barely get the words out without crying. Everyone thought that the text was so beautiful and our fathers were so touched to have been chosen to read the words that we chose." They look like they had so much fun! All of the food at this place was totally amazing. I had multiple servings of the delicious lamb entrée. The vow renewal location is absolutely incredible. The breathtaking views of the city are absolutely incomparable and all the guests were completely amazed.